For me, compassion, integrity and psychological truth represent important values in my work. To reach the heart of what moves us as humans, drives my own personal development, as well as my work with others. In addition, I feel deeply connected to the values of creativity, authenticity and beauty. I feel that psychological processes can be of great beauty. I strive towards embracing ethical principles, and my mission is also to act ethically within organisations and to promote moral leadership. I see this as the source of the creation of a free space, professional relationships based on trust and the source of the release of positive focused energy. Coupled with the use of innovation, I work towards offering high-quality products. I trained as a clinical psychologist (MSc) at Leiden University, and have been active as a corporate coach and trainer for over 15 years. Following my training as a psychologist, I took a course in Science Journalism, then undertook courses as a communications trainer and at the NIP, as a mediator. As a trainer. I have worked at all levels in IT, retail, law firms, hospitals, healthcare and the government. 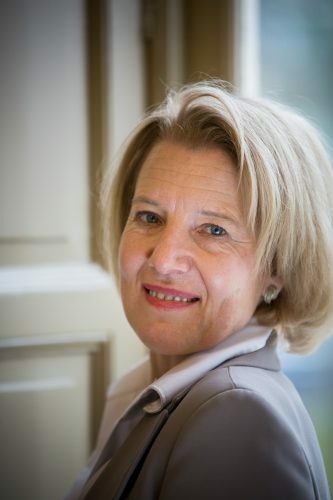 Currently I work as an international and executive coach, psychologist and facilitator. I strongly believe in the value of coaching as a tool for personal growth, both as a form of leadership development and as a means to foster meaningful relationships on the work floor. I also see the potential of cross-cultural coaching, the idea that the synergy created in the coaching process itself, between coach and participants of different cultures, is of great added value. I coach both face to face and online. A few years ago, I was introduced to online coaching through Skype and Zoom. This has been a great enrichment for me, mostly because of the achieved emotional depth, focus, bridging great distances and giving flexibility. This also meant I had to reconsider certain assumptions about interpersonal contact. For example, the idea that you must see each other in person, to really trust one another. I am an experienced facilitator of intervision, as well as supervising sessions as a trainer/consultant who oversees the implementation of intervision in organisations. Here, I also discovered the great potential of online contact. This has led to an area of interest to me: How does (online) trust work? In my work with both individuals and groups, I create a safe atmosphere for profound learning and hard work. Using that particular learning environment as a starting point; room is created for building personal confidence and trust among co-workers. Intervision I see as a specific area in which psychological truth can be discovered and explored. I am based in Leiden, but am often in Rome. Both places are for me ‘intimate world cities’. For me, Leiden represents science, innovation and liberty and Rome represents beauty, spirituality and the humanities. Both cities give me energy, each in their own way. I am registered with Psychologist NIP/Work and Organisation, and a certified member (ACC) of the ICF (International Coach Federation). From both organisations, I am bound by the professional ethical code. I am also a member of SIETAR (Society for Intercultural Education, Research). 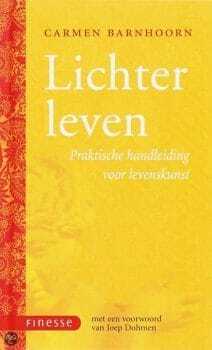 In 2006 I published a book entitled: Lichter Leven, Praktische handleiding voor levenskunst (Lighter Living, a practical guide to the art of living). Forte Uitgevers bv, ISBN 90-5877- 655-7.